Jealous!! I've got about 15 heirlooms on the vine right now, waiting for them to ripen. Come on already! The tomatoes are just lovely - I can't grow tomatoes in my apartment development but I do get wonderful ones at the 4 Farmers' Markets around me and a bunch are now ripening on my counter including one of my favorites the Brandywine. They're gorgeous! My tomatoes didn't quite make it this year. Such a beautiful site! I love heirlooms! Gourgeous! 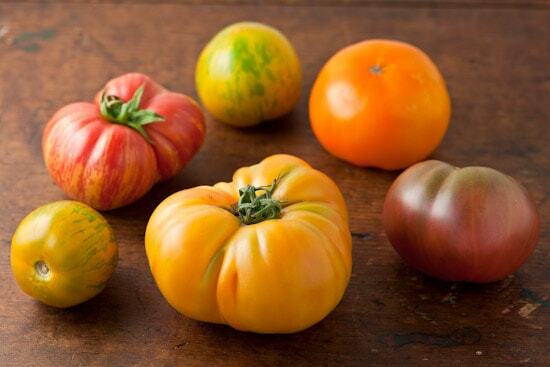 There's nothing like a fresh heirloom tomato drizzled with some olive oil and sprinkled with a pinch of salt ! Great photo !